WorkGold plate, with stone & ruby. 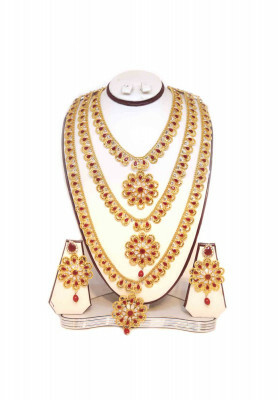 Indian gold plated three step sita set, includes earrings. 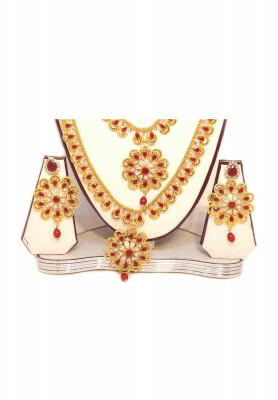 Comes with Gold plate, ad stone, ruby. work on all over body. Beautiful Three step heavy chain design, best for bridal makeover. Home delivery available.